Dr. Eric Arzubi, L, sitting next to Governor Steve Bullock at an announcement the Montana Department of Public Health and Human Services in collaboration with NAMI Montana was awarded a $263,000 grant to provide early intervention services for youth and young adults suffering their first psychotic episode. 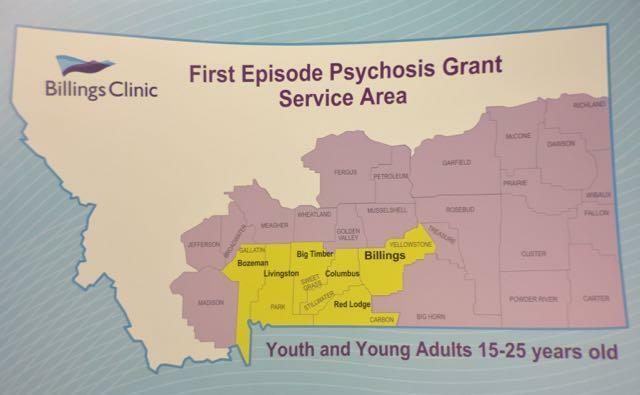 Montana received a $263,000 federal grant to launch a new package of services to adolescents and young adults suffering from their first psychotic episode. Research by the National Institute of Mental Health has found young adults, if left untreated for their psychosis, are more likely to develop serious mental illness, such as schizophrenia. Dr. Arzubi says psychosis can be caused by medications, anxiety brought on early in childhood, or schizophrenia. He says national estimates are that about 1% of a population will be diagnosed with schizophrenia in a year. “Right now we don’t have the evidence-based, best practice to treat those folks in MT,” he says. Dr. Arzubi says the current method of treating young patients in Montana is limited to medication. The new Montana program will used an evidence-based model created from a recent federal study called Recovery after an Initial Schizophrenia Episode (RAISE). Research from the RAISE study showed better outcomes when a team of professionals provide services “wrapped around” the work of a psychiatrist. He says Dr. Ana Stan, a psychiatrist with Livingston Healthcare, is taking the lead for the team of professionals from Billings Clinic, the South Central Montana Mental Health Center, and NAMI Montana. Dr. Stan is an expert in the treatment of psychosis and directed a similar team of professionals in Texas. Carl Eby, the associate director of the Mental Health Center (MHC) in Billings, says his organization already has a group home, a recovery/day treatment center, traditional outpatient therapy, and psychiatric acute crisis services but is limited to only 1 psychiatrist. Besides treatment, this team will also help the patient find housing, employment, or if the patient is still in school to help them remain in school. The team is also available to help the patient’s family. Eby praises the timing of the grant. The 2015 Montana Legislature and the Bullock Administration initiated the emphasis on community based mental health services. 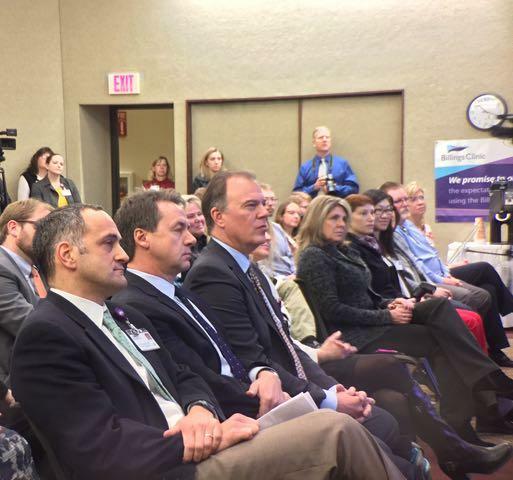 Bullock announced the grant award at Billings Clinic. He says he’s asking the 2017 Legislature to continue to invest in this area, as well as in youth suicide prevention. 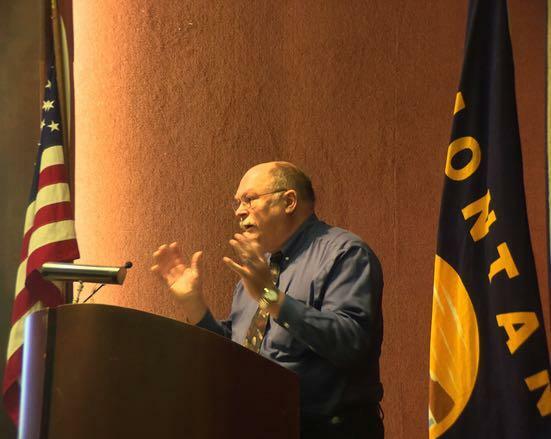 The Montana Department of Public Health and Human Services, in collaboration of NAMI Montana, secured the grant. The services are now available. 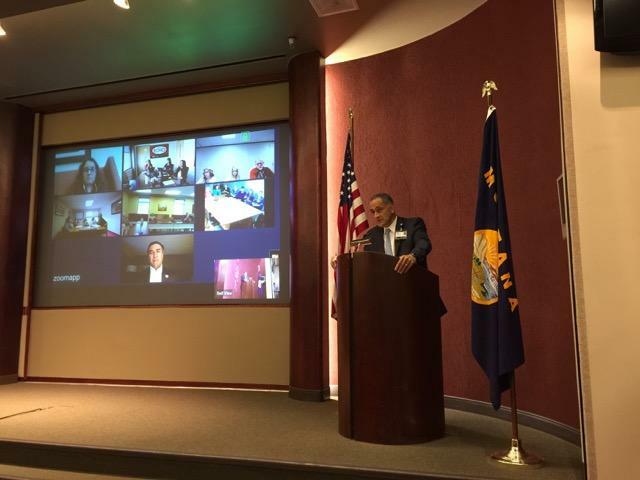 Billings Clinic launched a pilot project to help rural primary care providers deliver mental or behavioral health care to their patients. “Montana is at the epicenter of a mental health crisis,” says Dr. Eric Arzubi, chair of the Psychiatry Department at Billings Clinic. He says there aren’t enough psychiatrists, so it falls upon primary care providers in rural areas to help their patients who are struggling with mental and behavioral health issues.